Today we’d like to introduce you to Ruby Bhandari. 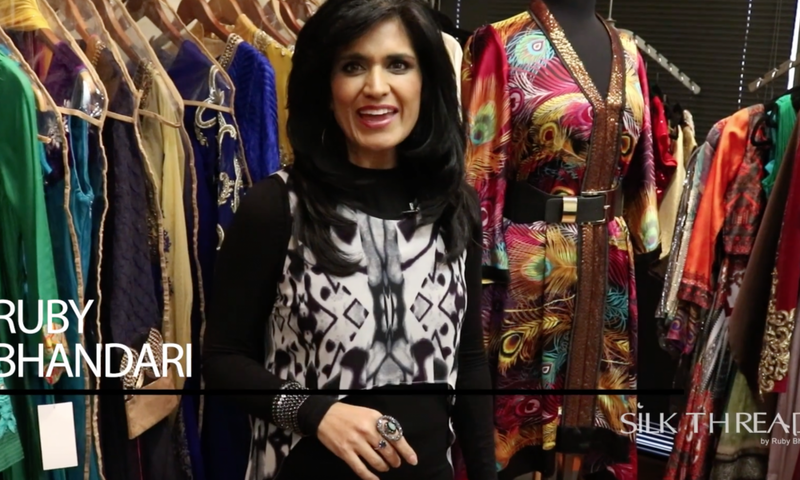 Ruby (voted as D Magazine’s 10 Most Beautiful Women in Dallas in 2013), founded Silk Threads, Inc. out of her personal desire (and need) for fashionable ethnic wear that reflected her Indian heritage, but also spoke to her Western sensibilities. Born in New York and raised in Austin, Texas, Ruby started Silk Threads while still pursuing her degree at the University of Texas at Austin. Fast forward to today, Silk Threads still is following the same mantra, with satisfied clients in over 30 States and Canada, and provides collections to over 400 high-end boutiques. Ruby believes in giving back to the community, working with local and national charities like Mosaic Family Services, American Cancer Society, Indo-American Cancer Association, and Children’s Advocacy of Collin County. Silk Threads – what should we know? What do you guys do best? What sets you apart from the competition? Silk Threads by Ruby Bhandari, dealing primarily with bespoke ethnic wear – Salwar Kameez, designer Sarees (or saris), bridal Lehenga Cholis, as well as formal ethnic menswear. Silk Threads is recognized as one of the leading designers of ethnic Bridalwear in the country – helping brides nationwide bring their trousseau dreams to fruition. Ruby B Collections provides high-end tunics and custom dresses, including mainstream Bridal trousseaus. The tunic line is available at over 400 high-end boutiques around the world. Silk Threads Menswear by Ruby Bhandari is our fusion menswear line, providing custom ethnic Sherwanis to fusion Partywear to discerning gentlemen around the globe. Ruby’s work has received glowing reviews in ethnic as well as mainstream press, including CBS, ABC, FOX, Women’s Wear Daily, Home Decor, Dallas Morning News, D Magazine, India Today, etc. She is also a frequent guest on radio and TV shows, giving her input on current fashion trends and celebrity dressing and helps produce major Fashion Shows. Ruby’s designs are worn and appreciated by several Bollywood celebrities as well. Every time I see people wear my designs and it brings out their inner strong confidence. Every time, that is my proudest moment that I keep reliving over and over.